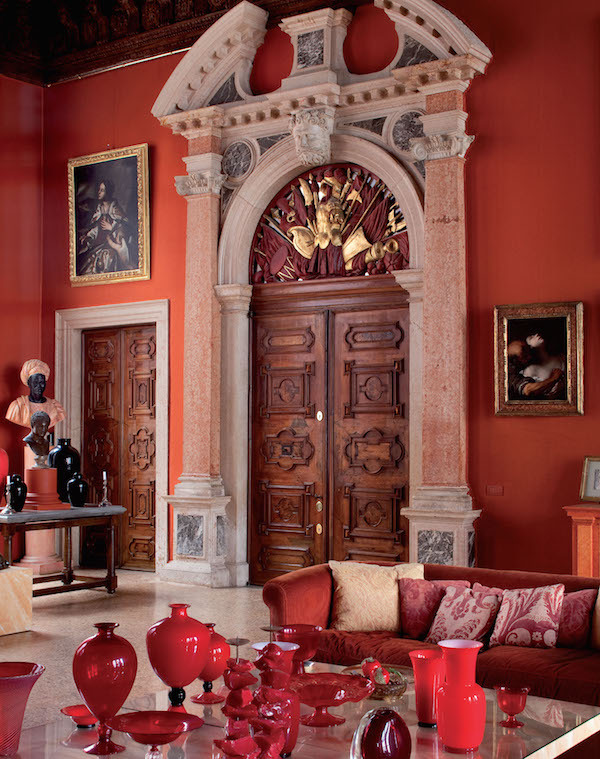 Celebrating the best of Venetian decorative arts, Inside Venice offers us a private view of the city’s most beautiful and rarely seen architectural and interior design jewels. 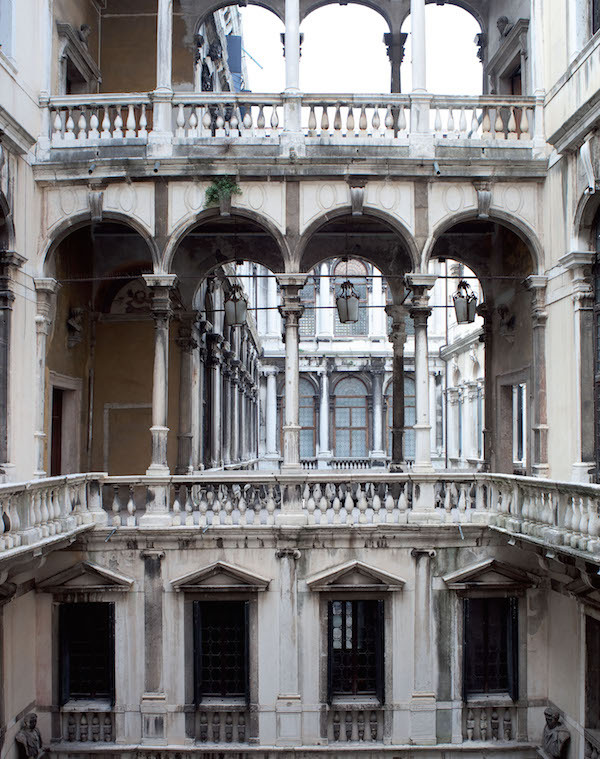 Written by Toto Bergamo Rossi, the director of the Venetian Heritage Foundation, the book transports us to seventy-two mostly private apartments and palazzos, beautifully photographed by Jean-François Jaussaud. the entrance hall and former storerooms on the ground floor are a modern open space dedicated to the study of architecture and stage design. Between the Grand Canal and the Canale della Giudecca is the Dorsoduro sestiere (district). Here Longhena’s famed Basilica della Salute with its domed octagonal design and the Palazzo Venier dei Leoni, housing the Peggy Guggenheim collection, reside. It is also home to a 19th century Russian residence built by Prince Dolgorouky. 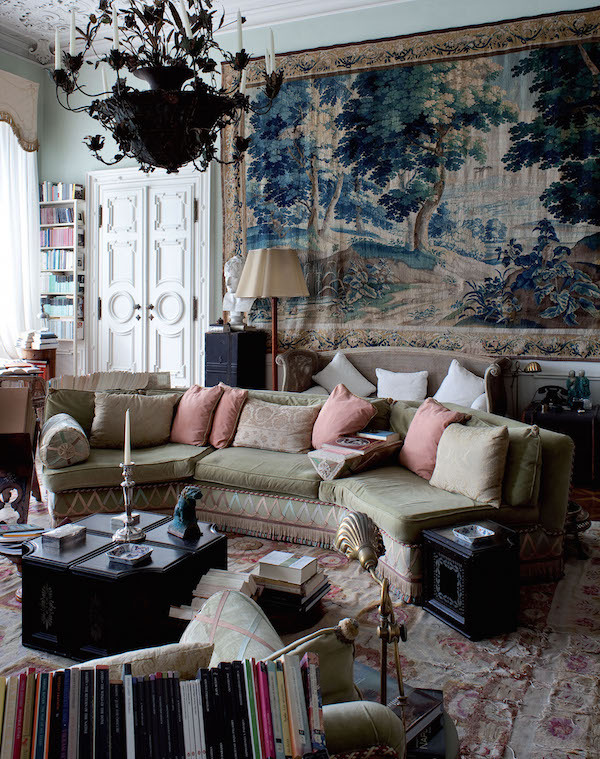 Now the residence of refined expats, the interiors have a chic eclectic flair. Also in the Dorsoduro are 15th century twin palazzi, originally built to house two branches of the same family. One was purchased by the Brandolini family in 1876 and completely renovated in the late 19th century. 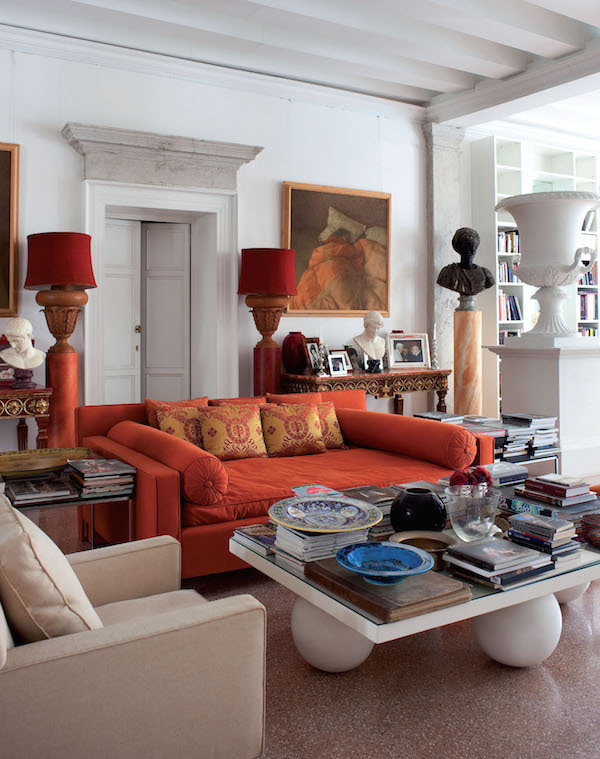 More recently restored and decorated by Brando and Cristiana Brandolini d’Adda with the help of Renzo Mongiardino, it is now home to Paolo and Aud Cuniberti, who have added their collection of modern art to the mix. Besides private residences, Inside Venice also includes several distinguished public spaces. The Benedetto Marcello Conservatory of Music is located in the historic Palazzo Pisani in the neighborhood of San Marco. 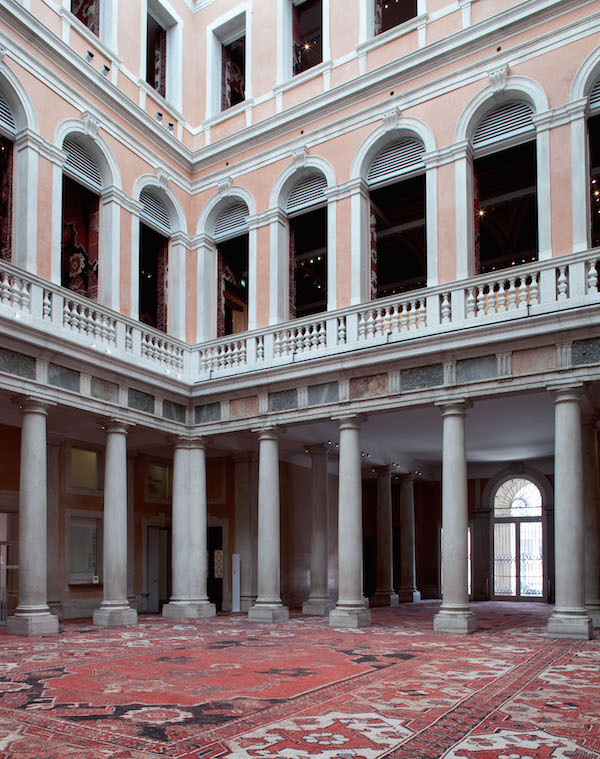 Now housing one of the most important libraries of Italian music, the Pisani library once contained a famous collection of masterpieces including works by Titian, Veronese and Tintoretto. In the 19th century, the library was sold as well as parts of the palazzo. Ceilings by Pellegrini ended up at the Vanderbilt’s Marble House in Newport and the ballroom was dismantled and moved to the Biltmore House in North Carolina. The Venice government finally stepped in and gradually purchased the property, assigning it to the conservatory in 1940. Below, the splendid loggia, an architectural whimsy that separates the palazzo’s courtyard’s. Also in San Marco is the Palazzo Grassi and Teatrino, the last grand private building to be built before the fall of the Republic at the very end of the 18th century. After changing hands many times over the next 150+ years, it was finally bought by French luxury goods magnate and art collector François Pinault in 2005. Now the headquarters for his contemporary art foundation, the building was sensitively renovated by renowned Japanese architect Tadao Ando. 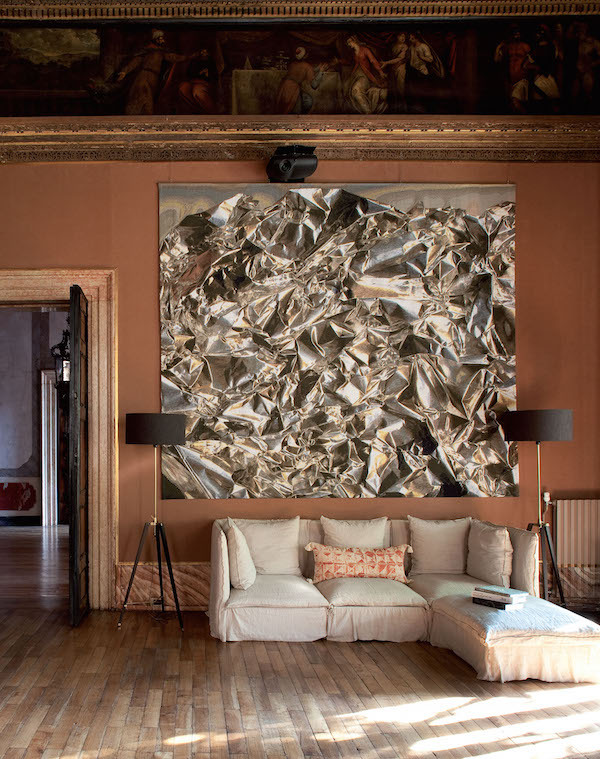 You may remember the landmark installation there by artist Rudolf Stingel. 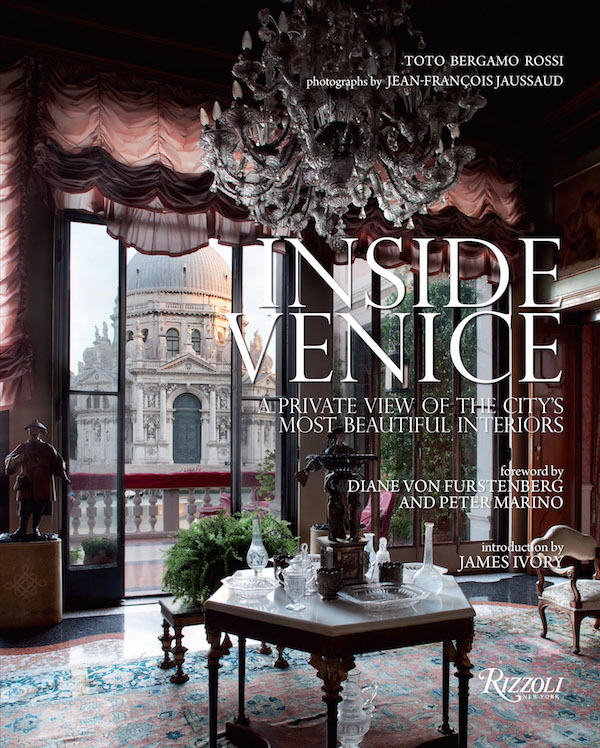 As Diane von Furstenberg and Peter Marino state in their foreword, “Venice belongs not just to Italy but to the whole world.” And with Inside Venice you get an insiders view of the best of Venetian decorative arts through its architecture and interiors. This entry posted in architecture, art, books, design, furniture, garden, interior design, travel. Entry Tags: Architecture, Design Books, interior design, Italy, Venice Bookmark the permalink. I’ll be ordering this one, too. The cover alone is enough to make one purchase this book! Divine! Can’t wait to get it! Thank you for this alluring peek into a fabulous new book, and the luxurious private worlds of this quintessential City! I relish your posts! While I can’t quite afford this tome right at the moment, I will certainly hope to buy it in the future and thank you for this wonderful preview, Stacey. If this does not make one dream, then what will? This is such a beautiful book and am so happy to have added it to my collection of books about Italia! The photographs are exquisite. I just received my copy yesterday. It is a truly magnificent book. Even if I am cutting expenses right now, I will save and buy one copy. I love design! This is my next book purchase! 81 queries in 0.466 seconds.